79-year old James Brewster is an uncompromising musician from the Caribbean island of St. Croix known for his humorous, provocative and playful compositions and lively performances. As a young boy, he made his own instrument out of a sardine can and a piece of white pine lumber. 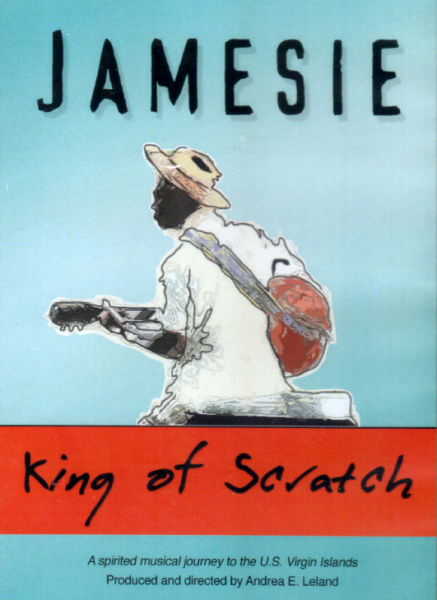 In the six decades that have followed, Jamesie and other musicians continued to use instruments that one can ‘scratch up’ when performing and recording music along with more contemporary instruments. The music has crudeness to it that is intoxicating and rhythmic speaking to both the beauty and the hardship of the Crucian (of St. Croix) lifestyle. The lyrics are a form of oral history used to immortalize historical events, spread ‘rude’ gossip about one’s neighbors, and relay the day-to-day trials and tribulations of living on a small Caribbean island. A spirited musical journey to the U. S. Virgin Islands.